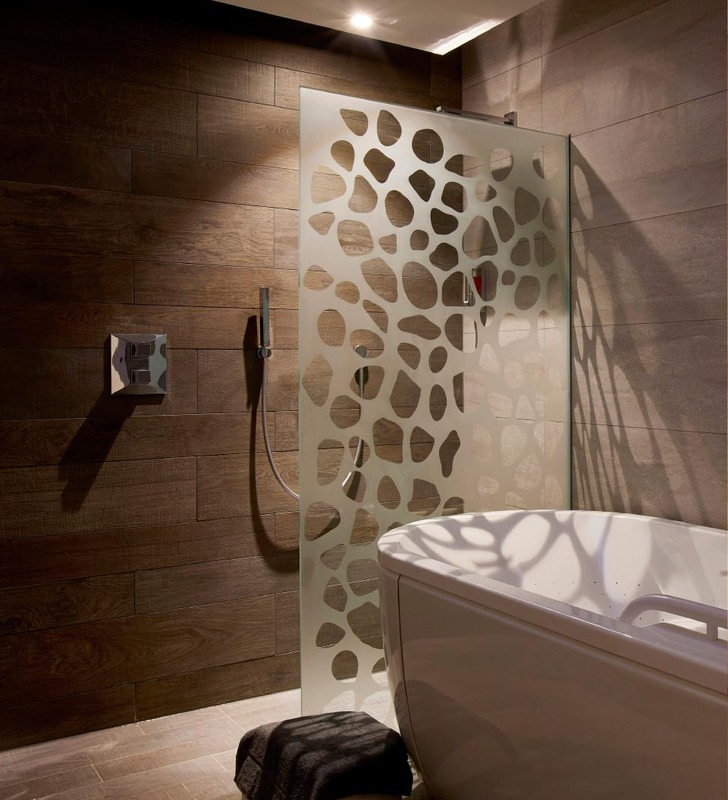 The main feature of the spa is the stunning salt suite. 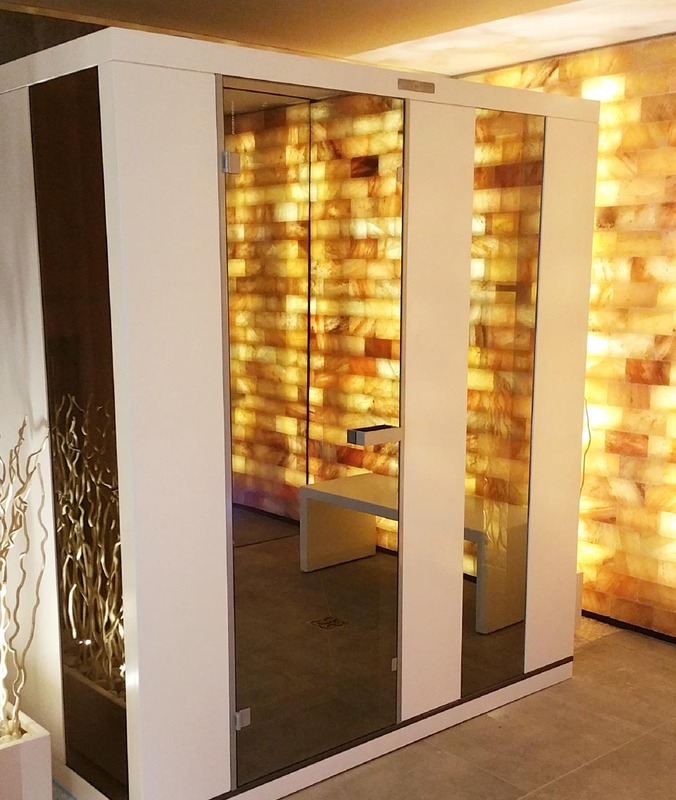 A five metre back lit Himalayan salt block wall creates a stunning backdrop to the space which also includes a salt and oxygen inhalation room as well as infra-red sauna. 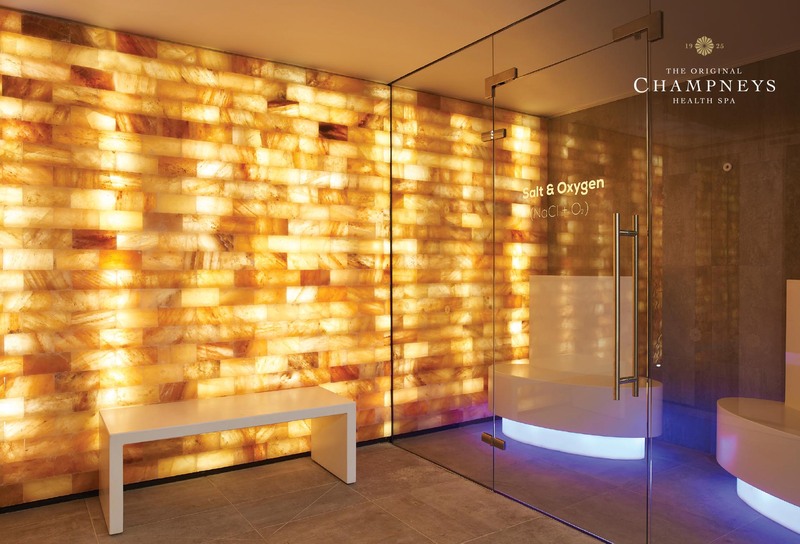 To complement the wellness spa and relax areas, Champneys wanted us to create a new interior concept for a detox spa based on salt water therapy. Salt water is believed to have many positive health benefits and salt therapy preparations have been recognised and prescribed throughout recorded history by physicians and therapists alike. 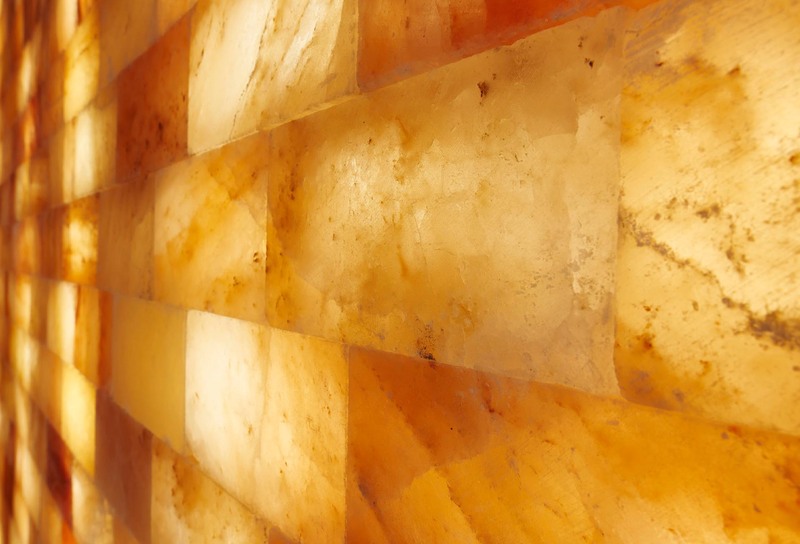 The concept was heavily influenced by these raw materials, particularly the Himalayan salt blocks, imported from India, forming a five metre glowing wall as part of the stunning salt suite. 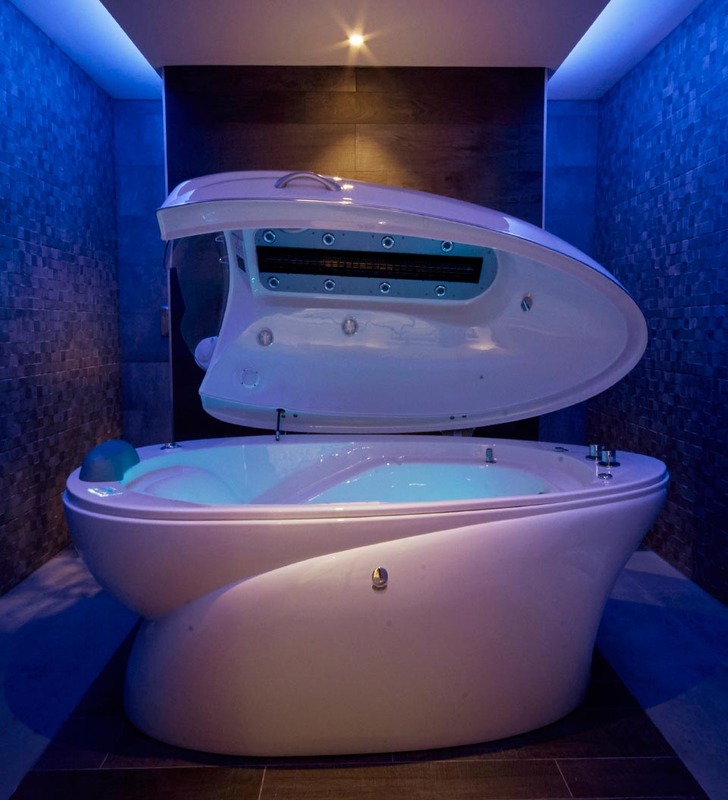 State of the art Thalasso equipment has been used in the treatment rooms including a Vichy bath, float beds and underwater massage baths to relax and soothe the senses. 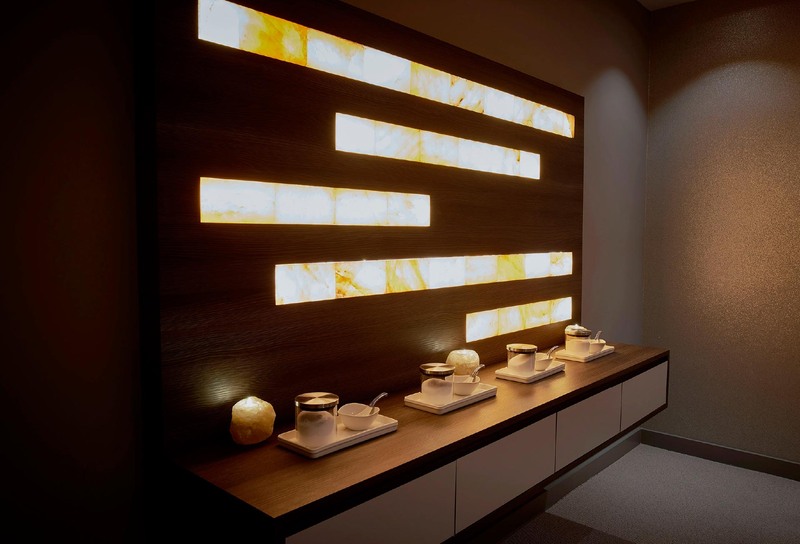 Other unique treatments include a salt inhalation bar, where guests can select a scented salt, sit back, breathe deeply and fully relax.